Acura Precision Team Award Winner in Greensburg, PA.
2018 Precision Team Award Winner! The Precision Team Award status is the most prestigious and coveted honor that Acura can grant to its dealerships. The status recognizes those dealership teams that demonstrate superior achievement in customer satisfaction, sales and service training, customer follow-up, and business management. Acura dealerships are given the year to achieve the rigorous set of objectives and prove they are worthy of Acura's most prestigious award. All criteria are established to enhance the client experience; most measures are based on actual client feedback and survey scores. To achieve success in the program, a total commitment to excellence by the entire dealership team is required. 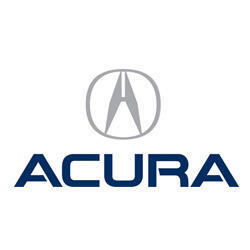 "Excellence has always been at the heart of the Acura brand, and these dealerships and their team members have earned the honor of becoming members of this esteemed group," said Jon Ikeda, vice president and general manager, Acura. "When a dealership meets or exceeds the rigorous Precision Team program standards, they demonstrated Precision Crafted Performance across the client experience." Mark Smail, General Manager, Smail Acura said, "We are very proud to be an Acura 14-time award winner. We want to thank our all our customers for their support. Our sales, service and parts staff work tirelessly to provide exceptional client experiences and to exceed expectations for Acura owners." In addition to the 14th Precision Team award, Smail Acura sales team includes three Circle of Sales Excellence winners: John Howard 8-time Gold Master, Clint Robbins 3-time Gold Master and Justin Pisano 1st time Silver award. Congratulations to all three for outstanding customer service. Smail Acura is Western PA's only Acura Precision Team Award Winner. Smail Acura is located on 5035 US-30, Greensburg, PA and carries the full line of Acura vehicles. Acura is an automotive luxury nameplate that delivers Precision Crafted Performance, an original approach to technology and design that creates a new driving experience. The Acura lineup features six distinctive models - the RLX premium luxury sedan, the TLX performance luxury sedan, the ILX sport sedan, the 5-passenger RDX luxury crossover SUV, the 7-passenger Acura MDX SUV, and the next-generation, electrified NSX supercar.